Anthony Flint corralled a loose ball and took it coast-to-coast to tie the Durango High School boys basketball game at 53 with five seconds remaining in overtime against Grand Junction Central on Saturday in Grand Junction. The tie would not last, as the Warriors sprinted down the court, drove to the free-throw line and kicked the ball out to an open Jorge Bolanos, who drained the game-winning 3-pointer at the buzzer, and the Demons lost 56-53 in an overtime heartbreaker. The Demons (9-12, 1-6 5A/4A Southwestern League) had the ball with 10 seconds remaining in regulation. According to Batiste, senior point guard Cullen Robinette beat his defender 1-on-1 and drove to the basket with a head full of steam and was fouled from behind – so hard, in fact, that his jersey ripped. In the heat of the moment, an over-excited Demon clapped in the face of a Grand Junction Central defender, and a technical foul was issued for taunting. An intentional foul for denying a clear scoring opportunity was never called against Grand Junction Central and Batiste was beside himself. Robinette made 1-of-2 free throws, and Central made 1-of-2 technical foul shots on the other end, and the game went to overtime. In overtime, it remained nip-and-tuck until the final seconds, when Bolanos made the game-winner. Al Hurowrth had 15 points for DHS, while Robinette had 14 and Anthony Flint had seven. Heading into Saturday’s tilt, the Demons held the No. 40 spot in the Colorado High School Activity Association’s Class 4A ratings percentage index (RPI), which determines the 48-team field. With the loss, DHS dropped to No. 43 and are separated by the final spot by just 0.08 points. There is no room for error, Batiste said. Durango will take on Grand Junction (2-19, 1-5 SWL) at 7 p.m. Friday at DHS. Ignacio 60, Ouray 34The Ignacio High School boys basketball team has put itself into excellent position for a share of a league title after Saturday’s dominant 60-34 road win at Ouray. The Bobcats (10-8, 8-2 2A/1A San Juan Basin League) outscored the Trojans 20-4 in the third quarter and took a comfortable 32-19 halftime lead and blew it open to 52-23 by the time the fourth quarter rolled around. Much of the scoring came from Finn, who hit four consecutive 3-pointers to put it away for IHS. The Trojans (11-3, 7-2 SJBL) were led by Jack Leo, who finished with 12 points, while Channing Green had seven and Liam Miller had five. IHS had three players in double figures, as Finn finished with 16, Dylan Labarthe had 12, Triston Thompson had 10 and Ocean Hunter scored eight. The Bobcats will host Mancos (11-5, 7-1 SJBL) at 7 p.m. Tuesday. Mancos sits in first place with two conference games remaining, while IHS will end its conference slate against the Bluejays. If the Bobcats win, they will at least clinch a share of the league title. Girls BasketballDurango 41, Grand Junction Central 33The Durango High School girls basketball team got its second consecutive road win on Saturday with a 41-33 win over Grand Junction Central. The Demons (9-12, 2-5 SWL) had another strong day on the defensive end of the floor, as they held Central scoreless in the second quarter for the second game in a row. Maddy McManus finished with a double-double, as she scored 15 and grabbed 10 rebounds as she led DHS. 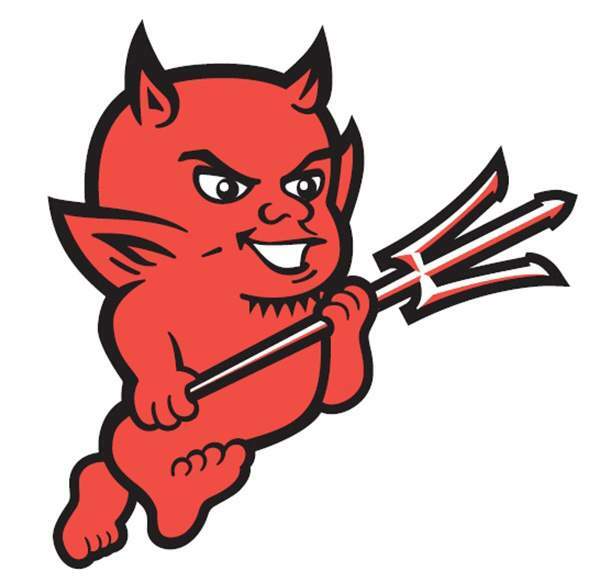 Grand Junction Central took a 23-22 lead heading into the fourth quarter, but the Demons held firm down the stretch and outscored the Warriors 18-11. The Warriors (7-14, 2-5 SWL) were led by Leah Redding, who scored 12 points, while Mya Murdock had nine and Nicki Madaras had seven. For DHS, Danielle Lee scored 10 points, Tayler Dossey had seven and Emma Fitzgerald and Emma Hackett scored four a piece. Durango will host Bayfield at 7 p.m. Tuesday. Ignacio 55, Ouray 17The Ignacio High School girls basketball team got back to winning ways after rebounding from Thursday night’s loss against No. 1 Del Norte in a resounding 55-17 road win Saturday at Ouray. The Bobcats (12-5, 11-0 SJBL) cruised behind Makayla Howell’s 11-point performance, while Ebonee Gomez and Monika Lucero had eight each. Lauren Fairchild led Ouray (8-7, 5-4 SJBL) with seven points, and Katie Woodman chipped in four for the Trojans. IHS will host Mancos at 5:30 p.m. Tuesday.